You’re spoilt for choice when looking for a good meal out in Toronto, but for something truly special a visit to one of the city’s incredible fusion restaurants is a must. Here are five of the best. At first glance, Canadian cuisine can be a hard thing to define. But a little research shows that it perfectly mirrors the multicultural makeup of the country’s population. 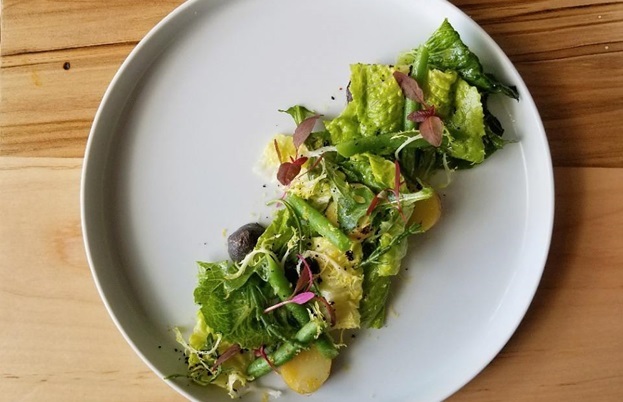 While there might only be a few distinctive ‘Canadian’ dishes, there’s an abundance of incredible local ingredients and chefs from all over the world helping shape the food scene. 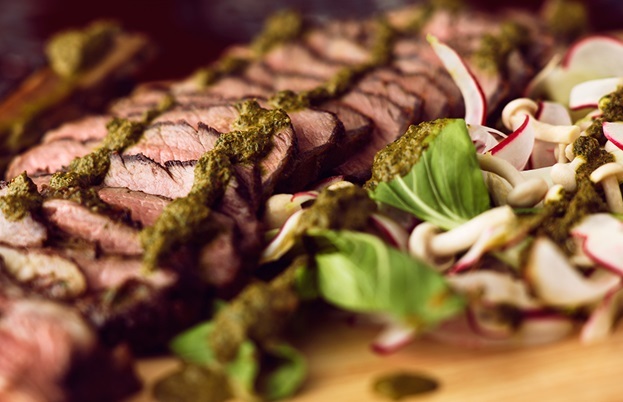 Fusion is at the heart of Canadian cooking, with inspiration being taken from across the globe, thanks to the dozens of international communities that have emigrated to the country over the past few centuries. That’s never been truer in a place like Toronto, which has become famous for its fusion restaurants. 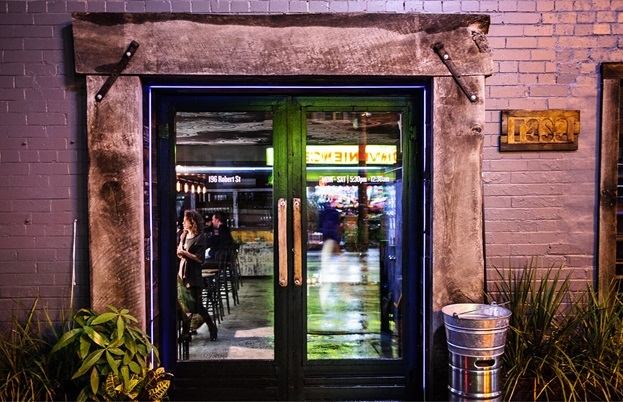 Japanese burger joints, Caribbean-inspired pasta dishes, contemporary twists on Israeli cuisine with an Indian twist – all manner of combinations can be found across the city. Of course, it’s easy to mash two cuisines together, but being able to balance the flavours and create something that tastes greater than the sum of its parts takes real skill. 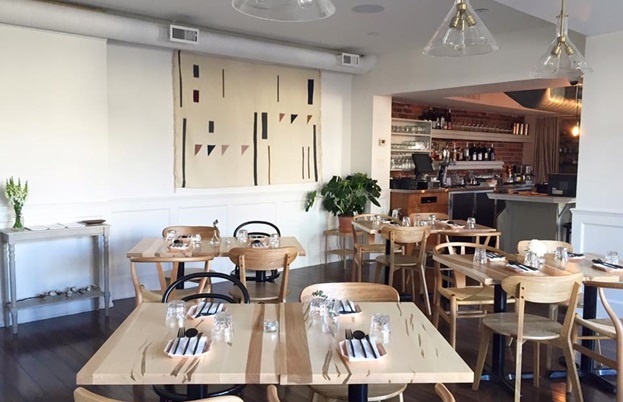 Here are five restaurants that manage it perfectly. If there’s one place in Toronto that perfectly encapsulates everything amazing about its fusion-led cuisine, it’s Momofuku Shōtō. The small restaurant has just twenty-two seats, arranged around a long bar that offers fascinating views into the open kitchen. The chefs (led by Brit Jed Smith) create a complex, exciting tasting menu that follows the seasons and takes inspiration from just about anywhere. You might find Dungeness crab seasoned with schmaltz (rendered chicken fat found in Jewish cuisine) and Indian madras spices, or Welsh rarebit with Comté and truffle. Morels might be paired with shiso in an omelette soufflé, while halibut is cooked with sorrel and yoghurt. 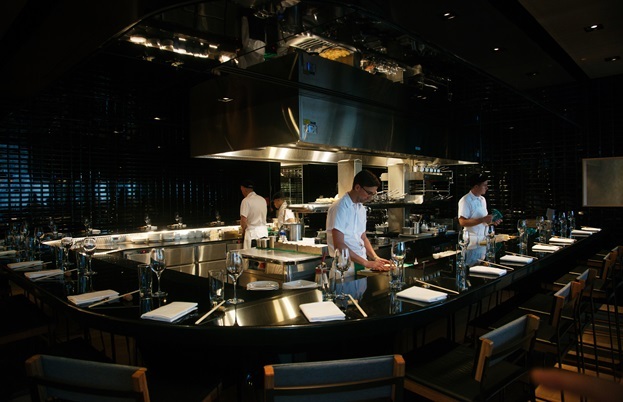 There are four other Momofuku restaurants in Toronto, but Shōtō is the one that continues to push the boundaries of fusion cooking. 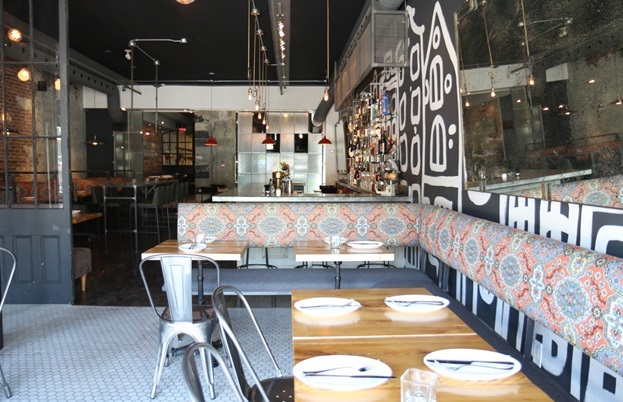 A classic tale of food-truck-goes-permanent, Rasa is trendy, edgy and a prime example of Torontonian cuisine. Everything is designed to be shared and comes as small plates, which are all influenced by the city’s diverse population. 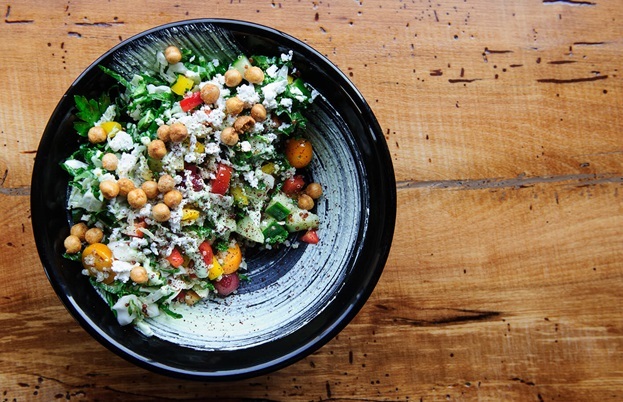 You can get a taste of the Middle East with their make-your-own shawarma platters, or head to Italy with the truffle gnudi and Grana Padano crisps. There’s plenty of Asian influence – just take a look at the torched scallops with yuzu aioli and Thai fermented chillies – and even South American (lamb ribs with chimichurri and pickles is a house favourite). 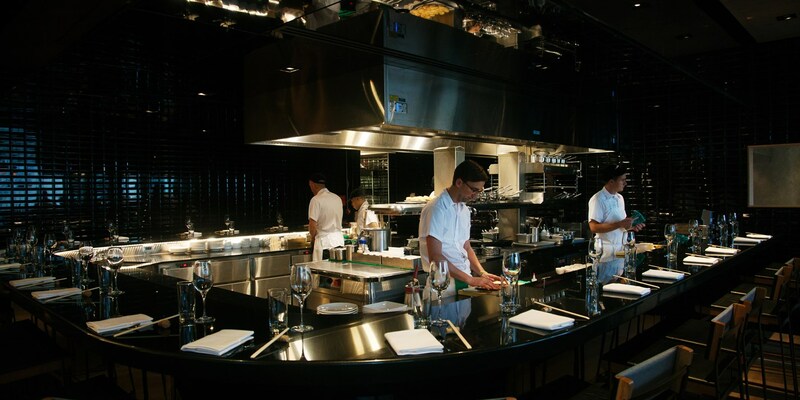 While Momofuku and Rasa take inspiration from all over the globe, Doma is a little more focused. 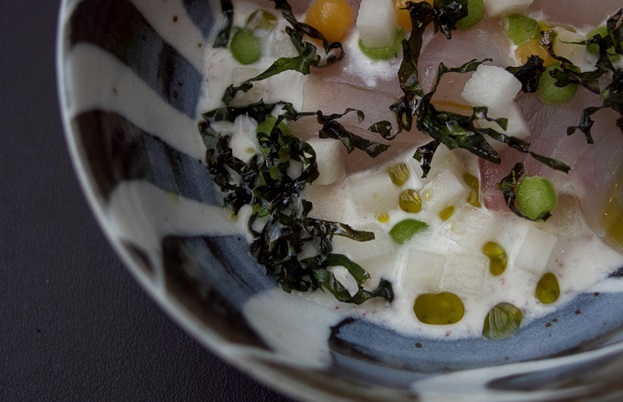 Combining Korean flavours with French techniques, it’s easier to know what to expect – and the resulting dishes are stunning. Pork belly is glazed in gochujang and served with grilled nectarines, a parsnip purée and lotus root. Rice cakes flavoured with sweet potato are covered in a tofu ragout with Parmesan and tomatoes. A scoop of corn ice cream sits alongside a honey truffle sponge cake. The catch of the day is served with a soy and chilli buerre blanc. You get the idea – this is a perfect pairing of two world-class cuisines which, thanks to the clever skills of the chefs, is delicately balanced. 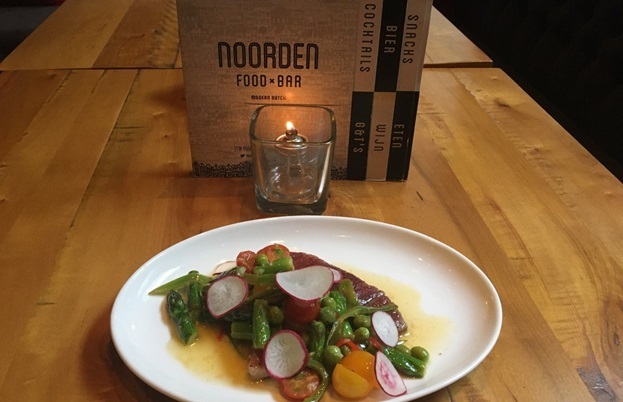 From French-Korean to Dutch-Indonesian – Noorden is a seriously cool bar with a surprisingly good food offering. Based around the idea of ‘rijsttafel’ – a Dutch-Indo meal of lots of small dishes – there are some very interesting things to try. The most famous is the ‘War Fries’, essentially chips covered in mayonnaise and peanut sauce, but look out for the beef tartar, too, which comes with pickled Asian pear and krupuk, a sort of Indonesian prawn cracker. Flank steak is cooked in rendang spices, grilled romaine hearts are dressed with chilli and goat gouda, and roast carrots come with yoghurt and crispy quinoa. Be sure to try a few cocktails, too, as well as the extensive gin and tonic list. Cantonese for ‘big brother’ (but can also mean boss and is a term showing respect to elders), DaiLo is a distinctly pan-Asian affair, with the odd touch of subtle French flair. 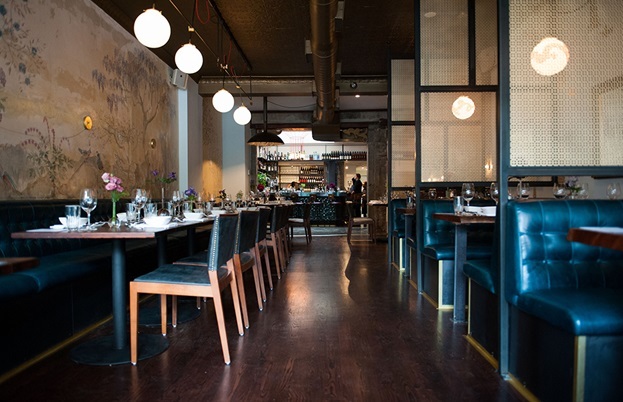 The menu is mouthwatering to look through, with incredible dishes like truffle-fried rice and crispy octopus tacos. But while there is definitely an Asian focus, it’s the little elements on the plate that prove the chefs know exactly how to mix cuisines. Miso aioli with seared napa cabbage; scallion pancake chips with Peking duck and wontons with homemade XO sauce and an almond crumble are just a taste of what's on offer.